The contacts you pop out and toss into the toilet end up being pollution. If you have poor eyesight, you likely wear (or are supposed to wear), glasses, contacts, or switch between both, depending on the day. In fact, about 45 million people in the United States alone wear contact lenses, making them a pretty popular choice. What you might not think about when it comes to your contacts, however, is how disposing of them may impact the environment. 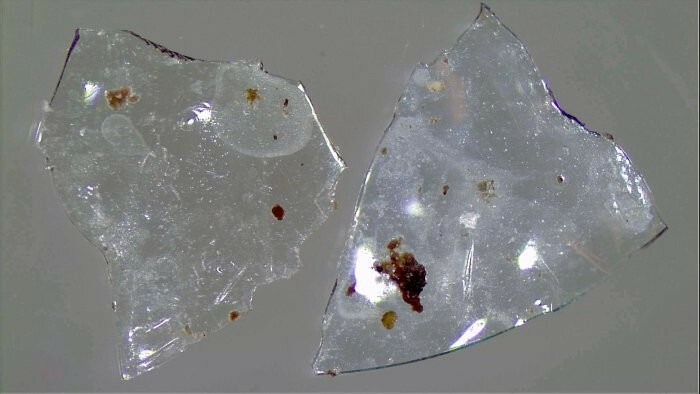 New research found an upsetting statistic concerning how people are getting rid of their contact lenses when they're done with them. Roughly 3.36 billion disposable lenses are getting either flushed down the toilet or down the sink drain every year. What happens then? Sadly, they end up in the wastewater systems and function as microplastics. Basically, the contacts you pop out and toss into the toilet end up being pollution. Rolf Halden, an environmental engineer at Arizona State University, began this research after wondering where his own contact lenses end up. He and his team conducted the research in several stages. First, they gave an anonymous survey of 139 people, including those who wear contacts and those who don't. Out of the people who wear contact lenses, 19 percent admitted to flushing them down the sink or toilet. From there, the team tried to figure out where those lenses ended up. To do so, the team looked in wastewater. Unfortunately for the environment, they did indeed find contact lenses. While these systems do have filters in place with the intent to keep big objects from ending up in treatment plants, contact lenses are small and flexible, making them easy to get beyond the filters. You, like the research team, might be wondering: Do contact lenses eventually biodegrade? As of now, it seems like they do not. To come to this conclusion, the team put polymers commonly used in contacts in similar conditions to that of wastewater plants, for varying lengths of time. Even after long periods of time, the lenses stayed in tact. The researchers presented their findings, which are the first on the topic, at the 256th National Meeting & Exposition of the American Chemical Society. Perhaps unsurprisingly, this is bad for news for aquatic life. Fish and other aquatic creatures can accidentally think microplastics are food. Of course, this means plastic can ultimately end up in our food supply, too, bringing contaminants that stick to plastic along the way with it. Even if you don't consume seafood, you can still be impacted. For example, sludge from wastewater treatment plants is sometimes put over land in order to condition soil. If there are microplastics in that sludge, they then have an easy entrance point into our land. Some may argue that not flushing your lenses down the drain is obvious, but to be fair, the packages contacts come in typically don't specify proper disposal instructions. "A simple first step would be for manufacturers to provide on product packaging, information on how to properly dispose of contact lenses, which is simply by placing them in the trash with other solid waste," Halden explained. Sadly, you can't recycle used contact lenses at the moment. What to do instead? Simply put them in the trash. They'll end up in a landfill, but at least they won't end up in the water. It's also worth pointing out that, in the grand scheme of things, used contact lenses come in at about 0.5 percent of all personal waste, according to a 2003 study on the topic. Some people suggest glasses (which can be donated after use) or laser correction surgery as more eco-friendly options, depending on your medical needs and your doctor's recommendations. But if you're going to stick with contacts, do your best not to flush them.